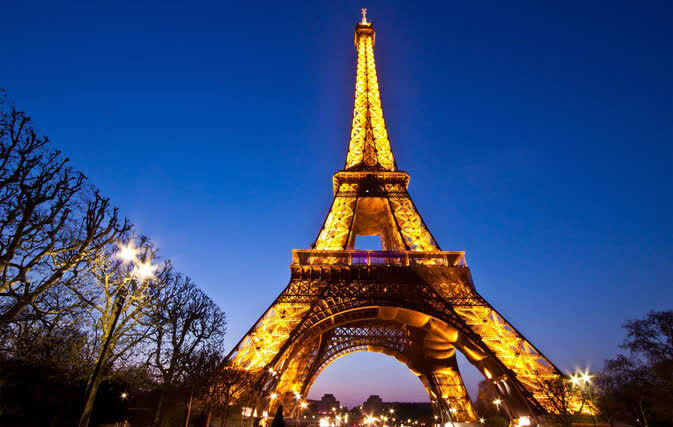 Paris emits the pleasures of art, fashion, food, and literature, sweeping across the architecture and cobblestone streets. Impressionist paintings decorate the galleries of famous museums. Gilded fountains spray water into the air, dancing on the pools of royal gardens. Extraordinary stained glass windows pour a rainbow of light into the nave of a dramatic church. 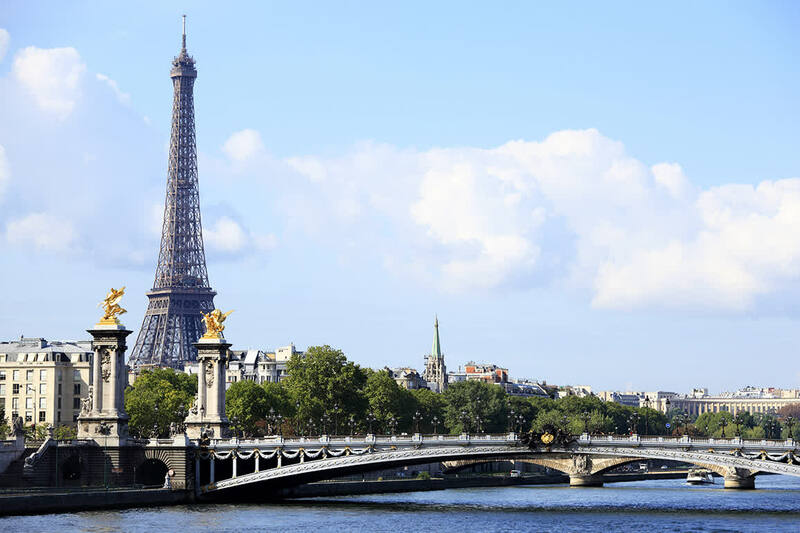 Your best of Paris tour in a week will show you the wondrous beating heart of Paris; from the intimate cafes to the vibrant markets, each neighborhood offers a different essence of the joie de vivre (exuberant enjoyment of life) for which the city is known. Paris is the City of Lights, and radiates beauty across the cobblestone streets and over the rippling waters of the Seine River. Cafes set out chairs along wide tree-lined boulevards. Gardens blossom with emerald greenery. The famous sculpture of “The Thinker” by Rodin decorates the garden of the Musee Rodin I in the heart of the city. Your private transfer greets you at the Charles de Gaulle International Airport upon your arrival. The city brims with historic beauty and contemporary luxuries. The jewelry of Cartier glistens in the window display on the Champs Elysees. Chic boutique stores fill the neighborhood Rue Oberkampf. You easily settle into the comforts of your centrally located hotel. Your guide meets you in the lobby and leads you on an introductory panoramic tour of the city. The Palais Garnier Opera House was erected in the 19th century with neo-baroque décor. Classical columns border the second story windows on the façade. Eight sculptures depict allegorical figures, from Music to Drama. The opera house encompasses 118,403 square feet and allows seating for up to 2,200 patrons. The auditorium is decorated with plush red and gold, highlighting the exceptional ceiling painted by Chagall. 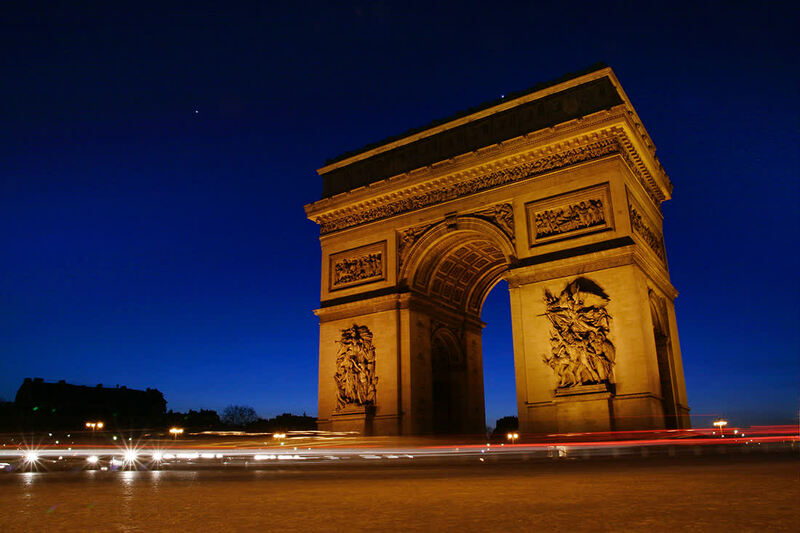 Your introduction to Paris immerses you in the unparalleled splendor of a city that treasures beauty and rewards those who take the time to appreciate life’s pleasures. 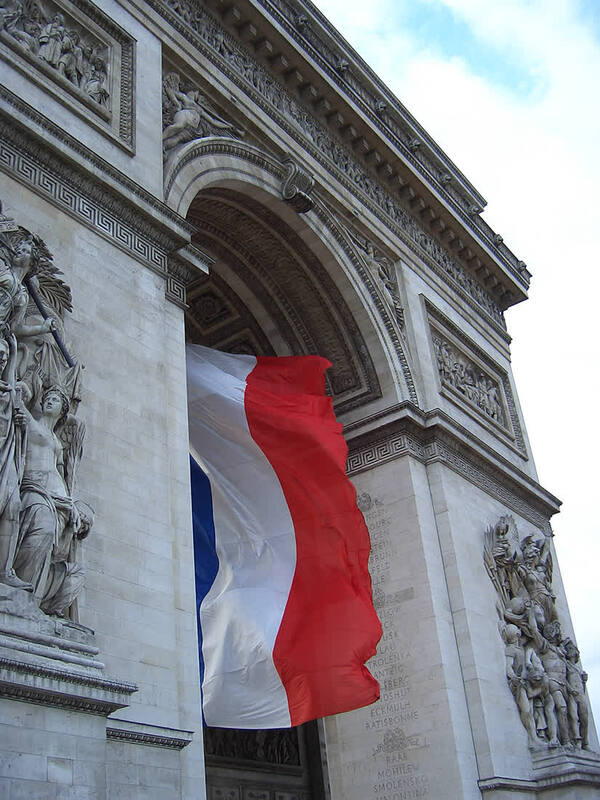 Consider learning more about your tour companies in France who strive to provide a highly personalized experience catered to your particular interests and desires. In the morning, the aroma of fresh baguettes fills the city streets. Bakeries set golden-brown pastries in their windows, providing an opulent array of enticing brioches on display. After breakfast, your guide meets you at the hotel and leads you to the exceptional Marais District, an area layered with Paris’s distinct history. The district encompasses the third and fourth arrondissements on the Right Bank of the Seine. In the 13th century, the Order of the Temple, also known as the Knights Templar, fortified their church in an area once considered outside the walls of Paris. Institutions followed the temple’s example, including the des Carmes-Billettes and de Sainte-Croix-de-la-Bretonnerie convents. Today, hip boutiques and designer hotels stand next to 17th-century edifices and the Place des Vosges, the oldest square in the city. The Hotel de Sully was erected in the 17th century and remains known for its lavish manicured gardens. Stunning geometric shapes and seasonal artistry decorate the doorframes and windows of the structure. The Jewish quarter was established in the 13th century and continues to thrive around Rue des Rosiers. 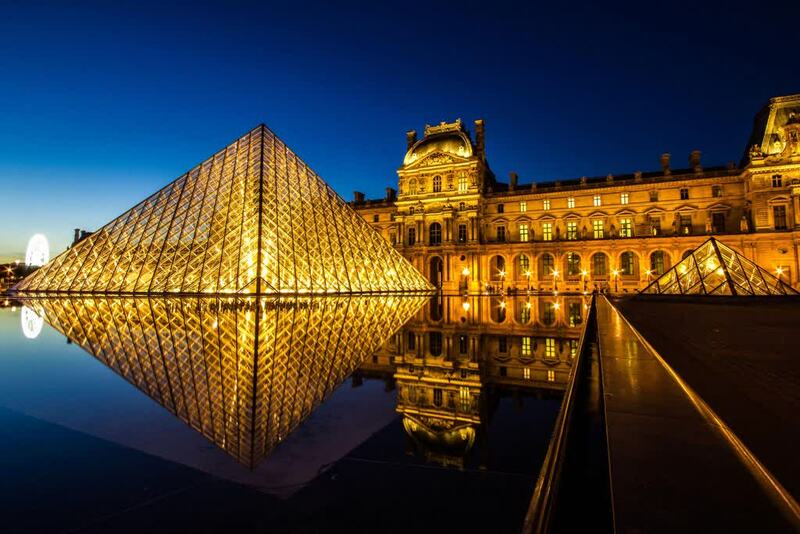 Your guide leads you through the winding streets of the eclectic neighborhood before arriving at the Louvre. The glass pyramid sprouts out of the open square. The museum encompasses 652,300 square feet and displays nearly 35,000 objects dating from prehistory to the 21st century. The edifice was originally a fortress built in the 12th century. The museum is a labyrinth of wonderment. You could spend days exploring the various exhibits and still not see everything. Your guide leads you to the Venus de Milo, an ancient Greek statue and one of the most famous works of Greek antiquity due to its remarkable preservation. The marble statue is six feet, eight inches tall. The sculptor etched a remarkable flowing robe over the statue’s bottom half, contrasting movement and grace with the stoic upper body. In the morning, the celebrated bookstore of Shakespeare and Company opens its doors. The shop has a majestic quality equal to that of Paris, which garnered inspirational writers and travelers for 60 years, including the Beat Poet Allen Ginsberg. After breakfast, your guide takes you on a tour of Paris’s extraordinary history, beginning with the city’s foundations. The Ile de la Cite was fortified around the 4th century and renamed Paris. Today your guide leads you along the banks of the Seine River. Eccentric houseboats moor to the cobblestone pathways. 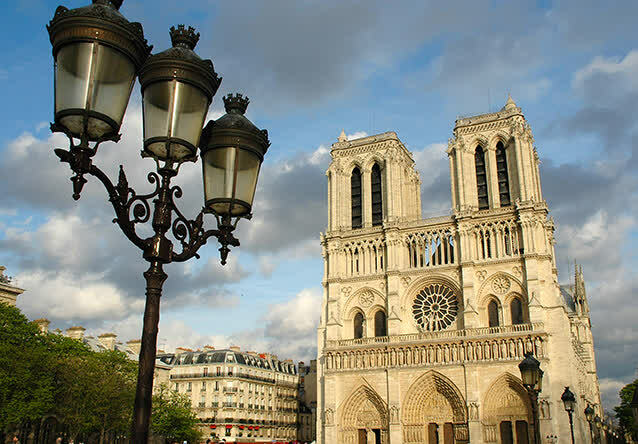 You can see the towering spires of Notre Dame de Paris. The gothic architecture rises along the Ile de la Cite, nestled between the waters of the forking Seine River. The church was established in the 12th century and completed in the 14th century. The tallest tower rises 226 feet above the forecourt. A dazzling rose window adorns the western façade. Distinctive gargoyles, designed as water runoffs, decorate the exterior roofs. A spiral staircase of 387 steps provides a tremendous view of the bell and the decorative gargoyles from close up. You continue to the Sainte Chapelle and are mesmerized by the brilliant stained glass windows. 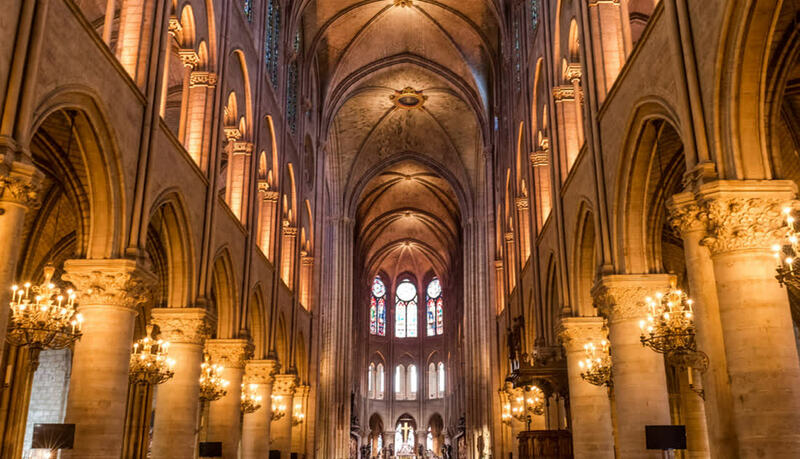 There are 15 gigantic windows that fill the 13th-century nave and apse, providing flamboyant light. The windows illuminate stories from the Old and New Testament. Paris can feel small and intimate and yet simultaneously huge and overwhelming at the same time. In the morning, you join in the Parisian spirit and indulge in a rich espresso while watching the city pass you by. 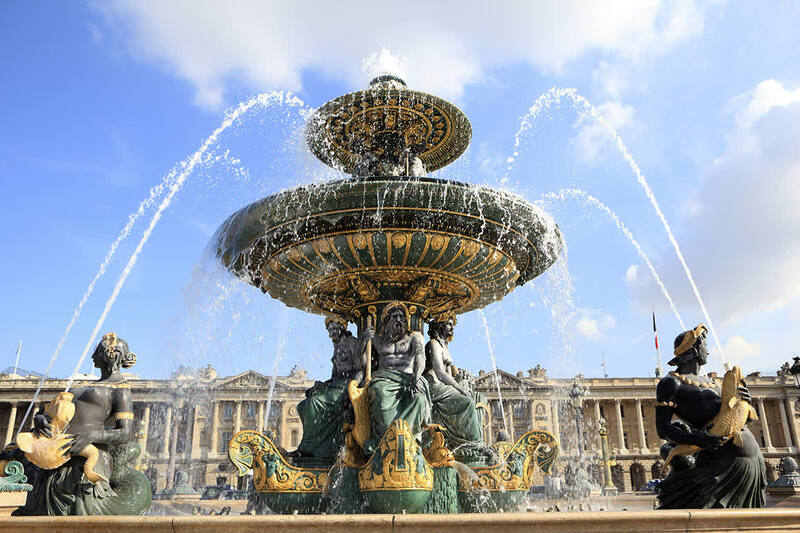 After breakfast, your guide escorts you outside the city to the gates of the captivating Palace of Versailles. The structure was originally built as a hunting lodge but soon became the permanent residence of the King of France. The grounds cover 721,182 square feet. The grandiose size and décor of the palace reminded visitors of the king’s magnificence. The Apartment de Parade represents the public area of the chateau. Official meetings and ceremonies took place in the reception rooms, which were named for classical deities, connecting Louis XIV to classic Western history. The rooms encircle the stunning Marble Courtyard. The staggering geometric design of the groundwork creates an optical illusion. The baroque façade contains gilded roofing surrounding the courtyard. The radiant interior provides insight into the lavish lifestyle of the king and his court. The Gardens of the Chateau are equally as impressive. The manicured lawns and decorative patterns symbolized humanity’s attempt to control nature. You enter the gardens and find two ornamental pools. Statues and fountains decorate the waters. An expansive pathway leads around the entire garden known as the Royal Walk. The scent of blossoming flowers emanates from the flowerbeds. Orange trees continue to blossom in the Orangerie. The space feels more like an elaborate park than a private garden. The hill of Montmartre rises to a height of 426 feet above the cityscape. It once bordered Paris but now has a special connection with the Bohemian artists of the Belle Époque. The pearled façade of the Sacre Coeur glints in the rising sun. After breakfast, you make your way to the hillside to explore the meandering cobblestone streets. The carousel on the lower tier of the hill echoes with familiar music. Kids laugh and play as horses twirl around in circles. Artists set out easels in the shaded lane behind the dome of Sacre Coeur. They capture the movements of passersby and continue the traditions of the bohemian lifestyle. The basilica was consecrated in 1919 and contains Romano-Byzantine design. Three arches decorate the portico. A mosaic decorates the apse and remains one of the largest in the world. In the peaceful square of Carré Roland Dorgelés, you find an element of the neighborhood that harkens back to the quiet village Montmartre once was. Ancient trees shade the cobblestone streets, and you feel miles away from the urban sprawl of Paris. A historic house decorates the corner where Rue des Saules and Rue Saint-Vincent intersect. The pastel pink façade stands out from the beige stone of the surrounding buildings. The structure was built in the 19th century, frequented by artists such as Toulouse-Lautrec Modigliani, and Picasso. In the evening, you make your way to the banks of the Seine River and board a sightseeing boat for a unique view of the City of Lights. Street lamps glow and fairy lights sparkle, imitating starlight. From the boat, you can see the shining colors of the Eiffel Tower climbing above the bridges crisscrossing the river. In the morning, the café tables return to the sidewalks of Paris. The aroma of fresh espresso spills out of the dining rooms and into the streets. Students linger on the riverbanks and enjoy the morning light, reading in the quiet sounds of the trickling water. 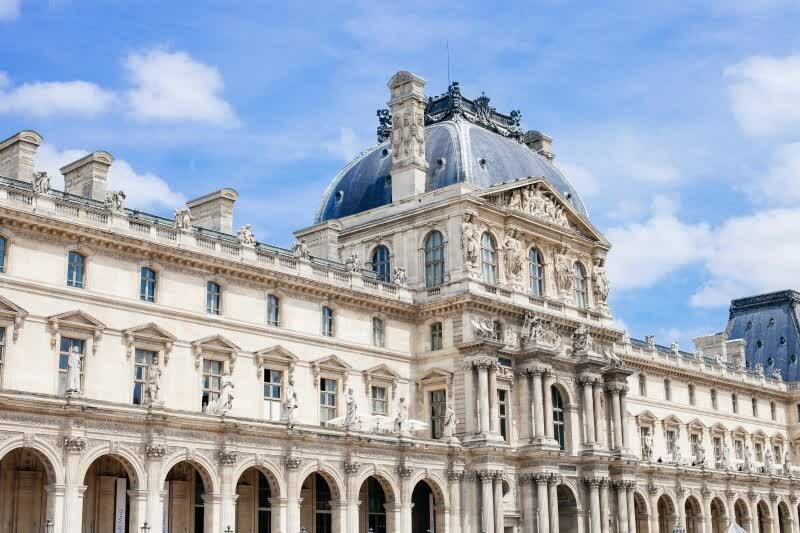 After breakfast, your guide leads you on an encompassing tour of Paris’s treasured museums. The Orangerie Museum is located in a corner of the Tuileries Garden. The white walls lead you down a small hall into an open room decorated with a collection of six magnificent Monet’s wrapping around the walls. The museum was established in the 1850s and contains eight murals by Monet, each dedicated to capturing the color and grace of water lilies in his gardens at Giverny. The dripping impressionist vision of the gardens surrounds you. Violet and indigo hues leap from the canvas, highlighted by the neutral white color of the room. The open space allows you to appreciate the marvelous size of each piece. You can see the impact of each brush stroke. You leave the gallery with a new appreciation of Monet and his masterful work capturing a collected image. In the Orsay Museum, you find a range of impressionist master and post-impressionist artists, including the stunning work of Van Gogh. The museum is housed in the grand structure of a former train station. On the upper floors, you can see through the translucent clock all the way to Sacre Coeur. You can find the Portrait of Dr. Gachet in the gallery. The piece was painted in 1890 and depicts the doctor resting his elbow on a table with his head in his hand. The contrast of colors and swirling texture of the portrait are indicative of Van Gogh’s style. In the morning, you wish to enjoy the city once more like a local. Indulge in the aroma of a fresh brioche emanating from a local bakery. Sit at a café table and let the city pass you by once more. The bustling avenue of Boulevard Saint-Michel returns life to the city in the morning. Shops and restaurants open their doors along the narrow medieval streets, crowned by the elegant façade of Place Saint-Michel. Small book stalls line the walkway along Quai de la Tournelles. The walkway looks down on the Seine River. The shops are known as Les Bouquinistes. Couples bring out wine and cheese to snack on, with a view of the passing water on the Ile de la Cite. Your private transfer meets you at the hotel and escorts you to Charles de Gaulle International Airport for your flight home.